“Infinitely You: Strategies for a Complete Makeover-Become a New, Improved You” is a 6 part ecourse that you can take from the comfort of your home that is designed to give you a makeover from the inside, out! You’ve seen those makeover programs on television, right? Well, this is something similar! We look at what is important to you in life, the person you would like to be, what you want to be known for, your values, beliefs and image. After completing the course there will be no stopping you – watch out world! “Infinitely Impeccable Communication: Acquiring the Relationship-Building Communication Skills You Need to Achieve” is a 6 part ecourse that you can take in the comfort of your home that is designed to improve your communications skills, enabling you to express yourself more clearly and to speak with confidence and assurance. Each of the 6 modules includes a number of exercises and assignments that will teach you all you need to know so that you can communicate more effectively with all of the people with whom you come in contact. With “Infinitely Impeccable Communication” you will be able to know what communication is all about, how the great communicators do it, and all there is to know about non-verbal communication techniques (which makes up about 93% of all communication). Communication is so vital to everything that we do because we are usually required to seek solutions, information and/or help from others. It is without doubt the most important skill set that anyone can improve and the results of doing so will be outstanding! The results can improve your relationships with clients and colleagues, loved ones and associates – you name it! Everyone can communicate in their own way, however haven’t you seen those people whose communication and interpersonal skills just seem to be on another level? They seem to have everyone doing whatever they say, the person is liked and respected by all, they can talk to strangers and build up rapport effortlessly! That’s the difference between communication and Infinitely Impeccable Communication! Communication goes far beyond the actual words that you say. More importantly, it’s how you say it and the way you conduct yourself while you’re saying the words. If you want to improve and take your communication skills to the next level, then this course is for you! How to understand varying viewpoints. What do you need to do to be an impeccable communicator? How to make small talk with people you have never met before – It’s easy when you know how! How to give and receive feedback. 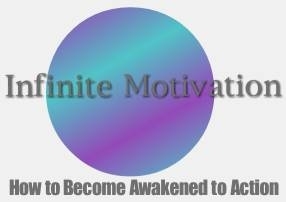 “Infinite Motivation: How to Become Awakened to Action” is a 6 part ecourse that you can take in the comfort of your home that is designed to get you motivated about your life while stopping the toxic habit of procrastination. This course will assist you in getting the personal energy and drive you need to accomplish your goals! Motivation gives you that inner drive to achieve what you want, so take the first step today and never look back! How to get awakened to action- what must you do? Finding something to get you up early and keep you up late! Stop procrastinating: how to take action! What do you want to be in life? Staying motivated – how to live the life you want! Today’s television shows will have one to believe that mediocrity and ignorance is to be lauded. I’m guilty of viewing mindless television, but even I was taken aback by a script I read outlining a speech given by the lead character on the “Being Mary Jane” scripted television show on BET. While I didn’t watch the show, my inner nerd was satisfied with reading the various articles and reviews of what occurred last night. In essence, the lead character gave a speech at a women’s luncheon lamenting that it’s acceptable to play the #2 position because it allow one to receive the benefits of the #1 spot without all of the pressures associated with maintaining the top position. She stated that while girls are taught to go after the highest marks in life, second best is acceptable. On the surface, this perspective may seem realistic, as from a business standpoint, there is typically only one CEO, but being Vice President of the company isn’t too shabby either. If one were to delve a bit deeper, it would be apparent that winning and achieving in life is about striving for the top. We give our best because we deserve the best. I’m fortunate to have had a boss early in my career who trained me with the mindset that I should be trying to take his job. It wasn’t about me wanting his job, but he was speaking to the level of excellence that was to be demonstrated through my work ethic, as that is what would become my professional reputation. The same is true in romantic relationships: strive to be number one in a person’s life because that is what you deserve and that will be your personal reputation, your character. With relationships it’s somewhat different because much of the work one puts in is with themselves. Becoming the best person you can possibly be, loving yourself unconditionally, and treating yourself with the utmost respect is the prototype for how others will treat you. The number two position isn’t for those who learn from and capitalize on the mistakes of number one, as Miss Mary Jane presumes; the second string player is typically the one who enters the game when there’s an obvious blowout and the win has been secured or if the star player is injured and they must resort to the next best thing. The second string doesn’t start the game because they aren’t considered the premier pick and when a win occurs, it’s usually the first string who will still receive the majority of attention. Why? Because we need the best to get back on his or her feet so that we can continue our winning streak. The best is who we count on to be that clutch player, the one with the highest salaries, the big endorsement deals, and the public recognition. So while television will mislead one into believing that second best is okay, please recognize that accepting a lower ranking position with the mindset of being better than the top person, means that subconsciously you know that you are the lesser than striving for the top spot. More poignantly, if you do secure that top spot, you will then have the luxury of experiencing an opening in your position. Further, and this is for my younger followers: know that these celebrities and people who appear to have it all have paid a price for that appearance. The highest price is usually peace of mind. They may have big bank accounts, houses, fancy clothing and shoes, but what you don’t see is them numbing themselves with drugs and alcohol because they didn’t find the happiness they’re still longing for in these material possessions. They don’t post on social media the loneliness they feel due to not have genuine, authentic relationships. 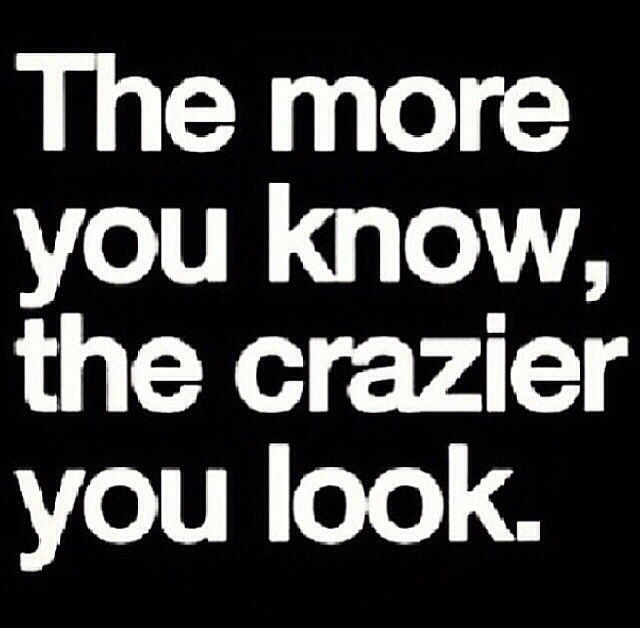 Remember: all that glitters isn’t gold, so don’t be fooled by facades. If true love and happiness is your aim, start by loving, respecting and honoring yourself enough to know you deserve only the best life has to offer. When you build up yourself with the best, you will be strong enough to push away anything and anyone who isn’t able to meet you where you are, accepting those things and people who are willing to match and/or exceed your efforts. I had an empowering conversation with a colleague last night. It was as if I was talking to myself~that’s the level on which we connected. I love how the universe aligns and links us to our kindred spirits, because it’s through those exchanges we reinforce how much we need each other. One of my biggest takeaways was that we must NOT cater our actions and decision making to people who aren’t even investing into our progress. Why? Those individuals won’t ever change what they think about you. They will always see you as the entity they place into a box long ago. You can go and create a multimillion dollar empire that empowers your community and there will still be at least one person who attempts to remind you of who you were. Fret not, my friends. This mindset has NOTHING to do with you. People who give out boxes, live in boxes. Their limited view of you mirrors the limited view they have of themselves. We see our world through our experiences, and therefore our vision is limited to that. Unless and until we choose to shift our thinking, our vision will be skewed and rooted in dysfunction. Mindset expansion can be very scary, but it behooves you to engage in shifting the way you think, put your failures into perspective, and use the lessons learned to catapult you to the next level in life. The only thing scarier than venturing into the unknown is living a life beneath your potential. It doesn’t matter what others say or think about you. The only thing that matters is who God says your are and what He thinks of you. He created you for greatness!!! Be crazy enough to believe you CAN achieve your dreams! “Infinite Contentment Within Your Career: Coaching for Career Planning and Management” is a an online course that I created that is designed to enable you to take a look at where you are now and where you want to be within your career. Are you happy with what you are currently doing? Do you want something else but don’t know what that “Something Else” is actually? This course includes a number of exercises and assignments that will enable you to answer all of your questions and teach you all you need to know in order for your to discover your passion! You spend so much of your time at work it makes sense to do something for which you are best suited and something that you enjoy! “Infinite Contentment Within Your Career” will get you back on track! To learn more about and to purchase this course, visit shop.infinitefortitude.com! 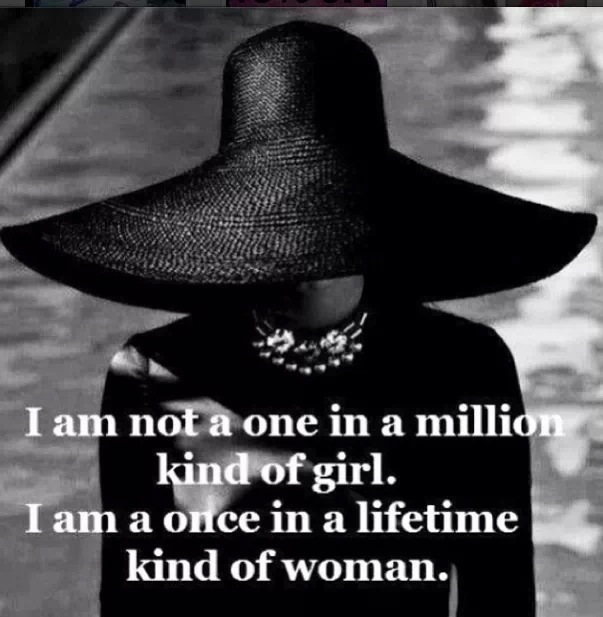 Infinite Confidence: Acquiring the Posture that Solidifies Success! “Infinite Confidence: Acquiring the Posture that Solidifies Success” is a 6 part ecourse that I have created that you can take in the comfort of your home, designed to get you that self-confidence that you so desperately want. Each of the 6 modules includes a number of exercises and assignments that will teach you all you need to know in order to build your confidence. “Infinite Confidence” will enable you to break through those barriers and limited belief systems that you have about yourself, so that you can move forward with the life you were created to live. Without confidence you will not be able to lead the life that you want. Confident people are successful people, and as such they stand out whereever they go. Many people in life have the same amount of skills but what holds them back is their lack of belief in self. The difference between those who succeed and those who do not is confidence! A. How confident are you? B. Infinite Confidence assessment – take it to find out where your confidence levels are currently. Believing in yourself – What do you need to believe in yourself? How to overcome your negative thoughts. How to overcome negative comments from others. Your confidence plan – How to lead an Infinitely Confident life!